Rachel Ruysch was a still-life painter from the Netherlands, her speciality was painting intricate and detailed still-lifes of flowers. With her unique style, she achieved international success which spanned over 60 years. She was the best reported female painter of the Dutch Golden Age. Ruysch’s artwork fit into the Rococo movement with its playful compositions and brilliant colours. You can see by looking at the details of her work that she paid extensive attention to details, each petal and leaf are made up of delicate brushstrokes. 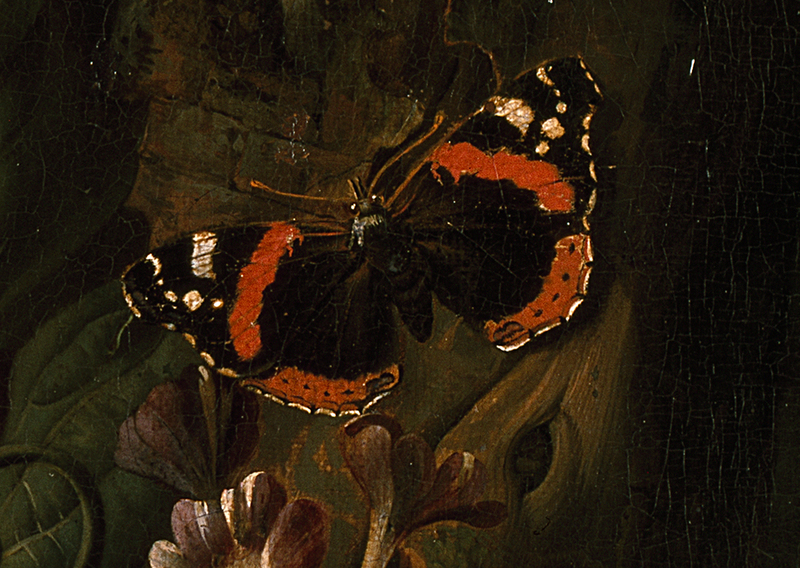 The dark background of her still lifes followed the trend of the late 17th century. Ruysch’s unique style and skill can be found in her extraordinary compositions that would be difficult to replicate in nature. She also manipulated the colour of the flowers to create a more balanced picture. 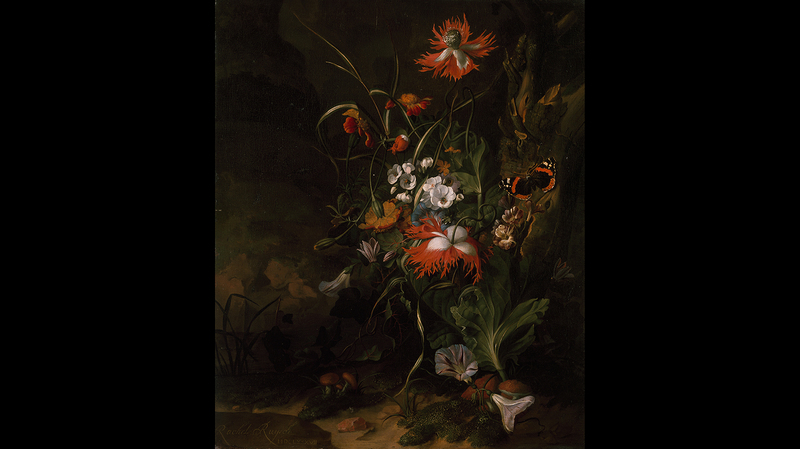 Ruysch’s style of painting could be seen as an old school version of Photoshopping, instead of painting life as it was, she painted life in a curated and beautified way to create the most perfect composition and image. 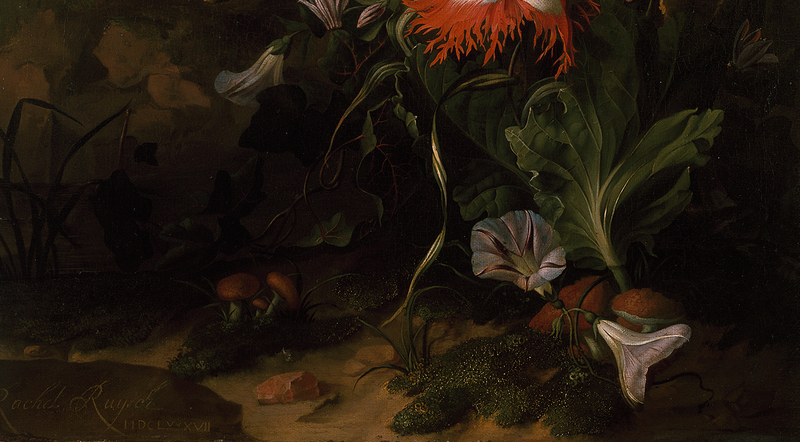 Ruysch painted a long succession of flowers paintings, several fruit pieces and a number of ‘forest floors’, this is a relatively early example from the series. 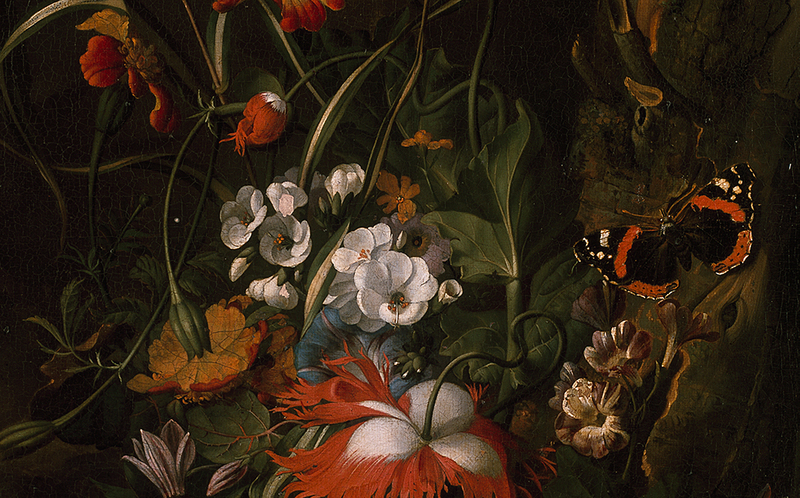 The type was invented by Otto Marseus van Shrieck in about 1650 and influenced Ruysch from then on. Discover more incredible women in the Shout out for Women trail, which looks across the collections of Oxford University’s Gardens, Libraries and Museums.